Summer Hours - open daily from 7am until 8.30pm for breakfast, lunch and dinner. Not just for golfers! Think gastro-pub with a modern twist. 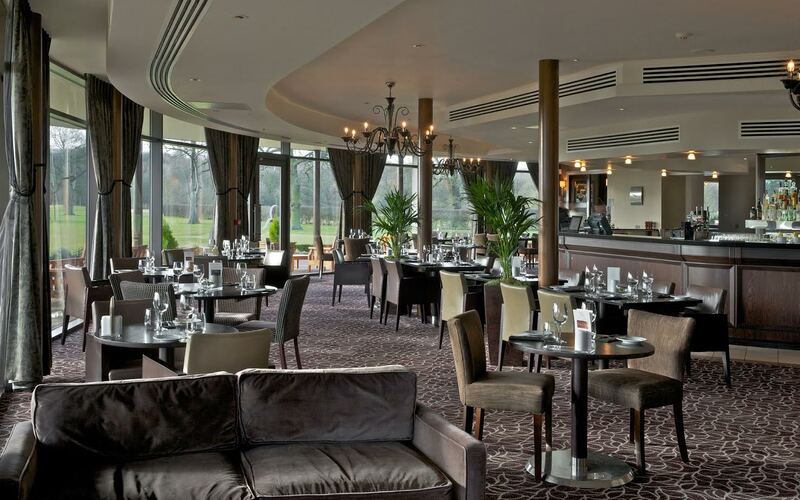 The Clubhouse serves up the classics with a focus on great quality, wholesome food. The dishes are homely and comforting, with a touch of ‘Rockliffe flair’ in keeping with the resort’s ethos to use top quality ingredients. Don’t forget the ever-popular Sunday lunches- the roast beef with Yorkshire puddings is a must-try! As always, the food was delicious and the staff were very helpful and professional. Sandwiches were dry and lacked filling especially ham and mustard. Could have a better choice of cakes. I would expect more and better quality for the cost of £25 per Tea. Staff service I cannot fault. Fairly good in the clubhouse restaurant but had drinks on the terrace outside the main hotel and used bar service. No evidence of waiters checking outside on such a lovely day. Had to go inside to ask for service. Once our order was placed the wait for drinks was interminable. My husband commented on this to the waiter who laughed! NOT the response we would have expected. Want can I say, everything from the service to the quality of the food was first class. Having a singer on was also a lovely touch. We booked the G&T afternoon tea but when we arrived the Clubhouse had a strong smell of fish, was obviously someones food but wasn’t nice to smell whilst eating cake/sandwhiches. We thought afternoon tea was average in comparison to other local competitors and the tonic in the G&T was very strong almost hard to drink. Inedible crab course full of shell and no one even noticed I wasn't eating it. We were lucky though as they lost the order of the next door table completely. We also went for lunch which was worse. Needs to improve drastically to live up to even an average standard let alone a luxury hotel and golf club. Disappointed that the venue for afternoon tea had been changed from the main hall to the clubhouse. We were told dress code should be smart casual yet the majority of people were in jeans. We had a wonderful evening thanks to the staff at the Clubhouse. Steaks were amazing. To be quite honest a little disappointed yesterday. We were a group of 5 who had lunch to celebrate my Mums 81st Birthday as it is one of her favourite places to dine. There was a lack of staff to meet and greet us straightaway upon entering the Clubhouse. A waiter gave us a choice of 2 tables that we could have which was good. 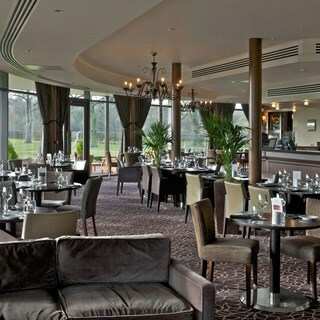 We chose the table with the view of the golf course which was nice even though a little cramped on one side set for 3! The starters arrived quite promptly although the slice of salmon and bread could have been more attractive.It was not the advertised bread. A waitress brought us a chicken dish which no one had ordered and then a fishcake again which was not our order! The waiter did come and apologise for the mix up and we said we would wait a little longer for everything to be rectified.I did mention it was a Birthday on my original online booking although no one seemed aware of it like they have been in the past. We had a family lunch here. The staff were very friendly and attentive, especially to our grandmother, and the food was delicious. Absolutely gorgeous breakfast in beautiful setting. All the staff especially Salvatorie were courteous, helpful and polite. We loved it, have recommended it to others, and will be back. Our afternoon tea was a present ,and we thoroughly enjoyed the experience.It was a beautiful sunny day and the views were great.Just found the directions in the grounds a bit confusing not having been there before,also there were not sufficient  parking spaces .Thank you . Lovely mother's day lunch. Staff the best in the area. Always love to come to clubhouse.. The golf course was very good for the time of year march2019 with the greens running at a good even pace.The food served in the clubhouse resturant was excellent with staff being friendly and professional .all in a great day including the weather would highly recommend. Fabulous staff ,lovely atmosphere will be visiting again soon thank you. Highly recommend the clubhouse for dining...Ben and Salvador were astounding. Great customer service and very attentive to our every need. Breakfast was cooked to perfection and dietary requirements were all catered for. We will certainly be back, top work Team Clubhouse!